It may only be the early days of December but I have started to plan Christmas. This is after months of purposefully ignoring it. Now I have succumbed to the yuletide spirit I am ‘urming’ and ‘ahhing’ over what Christmas cake to make. I am not a fan of the traditional fruit cake, so if I am going to make a cake then I am going to make sure that it is something I really like. Last year was the first time I made a Christmas cake. 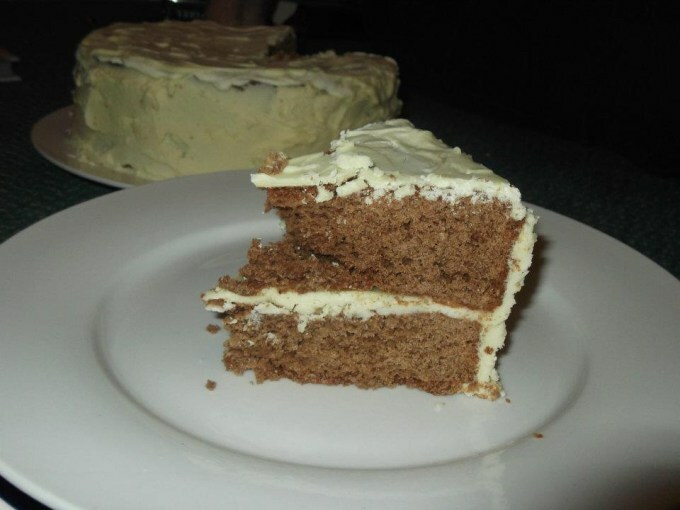 I made a chocolate cake, with the sides covered in a white chocolate buttercream and the top was melted white chocolate. It wasn’t the prettiest cake ever made, but it tasted pretty good. Now I am in a bit of a conundrum as to what to make this year. Initially I wanted to make four smallish cakes which spelt out xmas. Then the cakes could have been different flavours and decorated individually. However, my Mum said that these types of cake can be deceptively hard. So back to the drawing board. The next bit of inspiration is from my advent calendar. 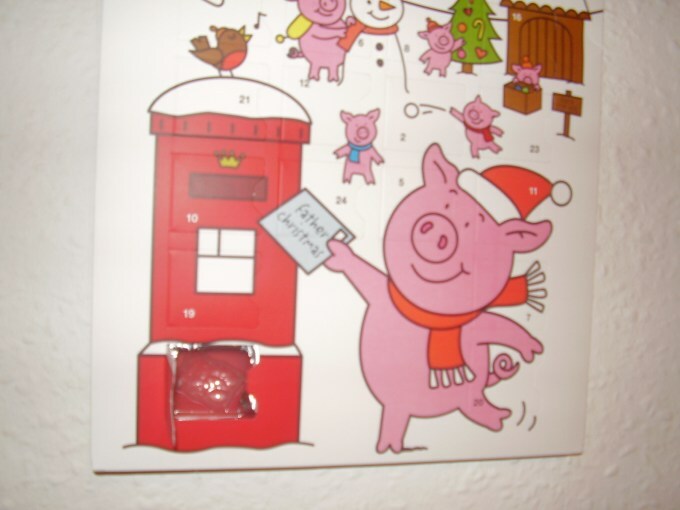 I may be 22-years-old but I still make sure to get an advent calendar. To add to the childishness of this I went for one with Percy Pig on. Instead of milk chocolate the daily treats are white chocolate and raspberry flavour, so that they are piggy pink. My boyfriend then suggested that this could be good combination for our Christmas cake. Whatever I decide to do I am going to try make the cake look prettier than last year’s attempt. 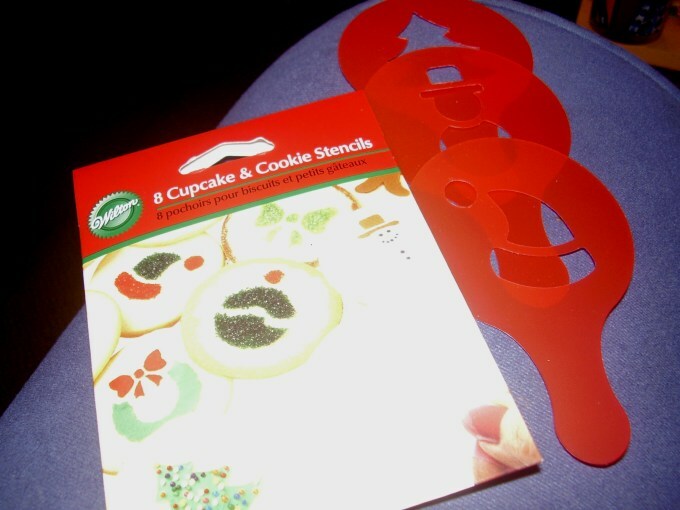 Not quite sure what to do yet, but picked up some festive stencils from Lakeland so will make sure that they get used. I also fancy making a yule log, but don’t want to overindulge too much. So, dear Internet, what ideas for Christmas cake do you have that are not the traditional fruit cake?